That's all folks! Thanks for participating. Just a heads up. We will be shutting down the AMA Reddit at 6:00 PM MST. It's been fun! Dang Bob, you've been a question answering machine. Just gotta say thanks for answering so many of our questions Bob. Do you hesitate to hint at trades/signings/information with people like Chris Nichols and David Staples making 'reports' or blogs out of tidbits from your show? Or do you not really care about it? Just curious. Haha, thanks for answering, Bob! 1.How much control does the OEG have over oilers now if any? 2.Whats it like to be on the team charters? Are you able to talk to the players at all? Or do the media guys just stay to themselves? On average how many media guys are on the plane? 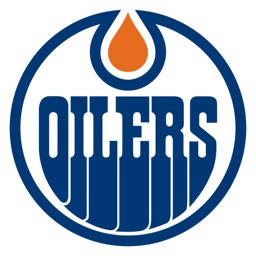 3.Whats the biggest difference between oilers now and your old show total sports? 4.Do you think the golden bears hockey team will be making a coaching change this offseason? 2. Being on the team charter is a privilege. The media that travel (6-8 of us) sit in front of the players. Experienced broadcaster/media understand their are boundaries in terms of relationships with players. We are in essence their guests on the planes. 3. Biggest difference between the 2 shows are the technical improvements. Text messaging has become the biggest way to communicate. As a rule of thumb I can say what I what, provided I can back it up. 4. I expect Serge Lajoie back at the U of A for the upcoming season. 5. You will grow out of your rasslin' phase...we all do! Between the Maroon trade and the rumored Yakupov + Pouliot deal, there has been a lot speculation about Anaheim and Edmonton making a trade this offseason (particularly around one of ANA's defenseman). Can you comment on the situation and if you've heard of any specifics of a potential deal? Thanks. Hey Bob, thanks so much for coming to our little corner of the internet. I know it must be difficult to be simultaniously a journalist and an employee of the Oilers. How do you balance these seemingly competing issues? On that note about being unable to BS the fans, do you think that's because they're a very "hockey literate" fanbase compared to others? Do you ever find yourself changing your views or such, due to insight from just a "normal" fan? Haha not to name any names or anything... thanks for doing this, Bob, hope you know we very much appreciate your taking the time. Enjoy your summer. Hey, thanks a lot for the response Bob. Keep on keepin' on! Is it important for the team to add experienced d men or would they look at adding someone who just breaking into the league? Also how much added pressure to win will there be in the new building? Hey Bob, how does one get into sports radio broadcasting? And what do you think of #VIEWS? Understand that if you are going to get into sports broadcasting that it has to be a passion and you likely won't get rich. Volunteer at a Campus radio station or Campus newspaper, can go to a trade school (NAIT/SAIT/BCIT) or a University that has Journalism program. You will need a little luck along the way too! Proud MacEwan grad of the Journalism program here! Was part of the first crop of students to take it, and it's getting a lot better. Amazing profs on the Journalism side. Would also recommend the Pro Comm side. You can get the best of both worlds.